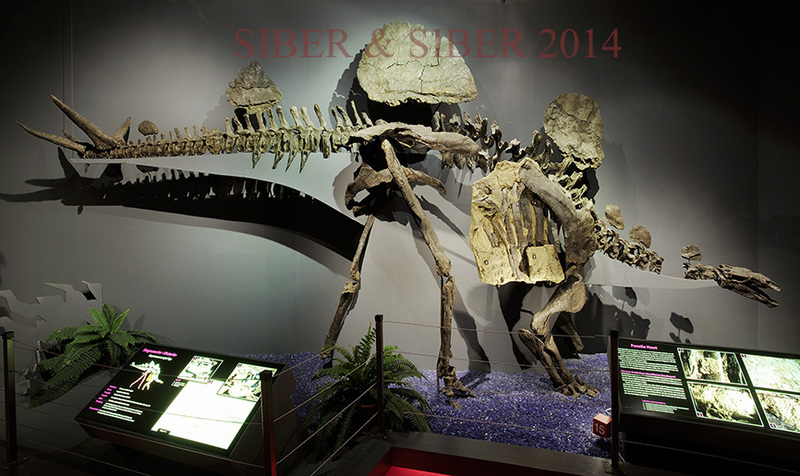 Independent Paleontologists have a long history of providing new and important specimens to museums and universities around the world. Beginning in the late 1700 with Mary Anning and her brother, then in the late 1800s and early 1900s with the Sternberg family, who collected in the western United States and Canada, and placed hundreds of specimens in major museums and universities such as the University of Kansas. The specimens they collected, prepared, mounted and described can still be seen on display today. 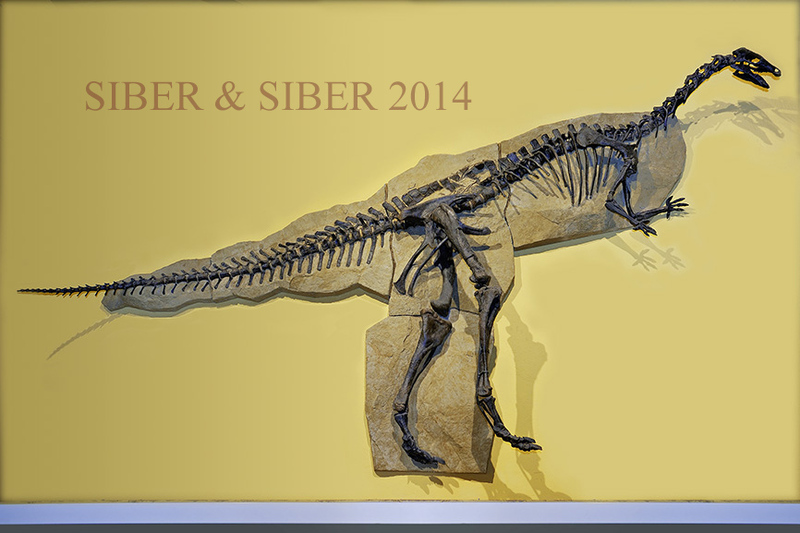 The tradition of commercial paleontology supplying original fossils for study that the Sternberg family started, continues today with companies such as the Black Hills Institute of Geological Research, Triebold Paleontology, Canada Fossils, Larson Paleontology, Wards Science, Geological Enterprises and dozens of other companies. This list is just the tip of the iceberg and a work in progress. 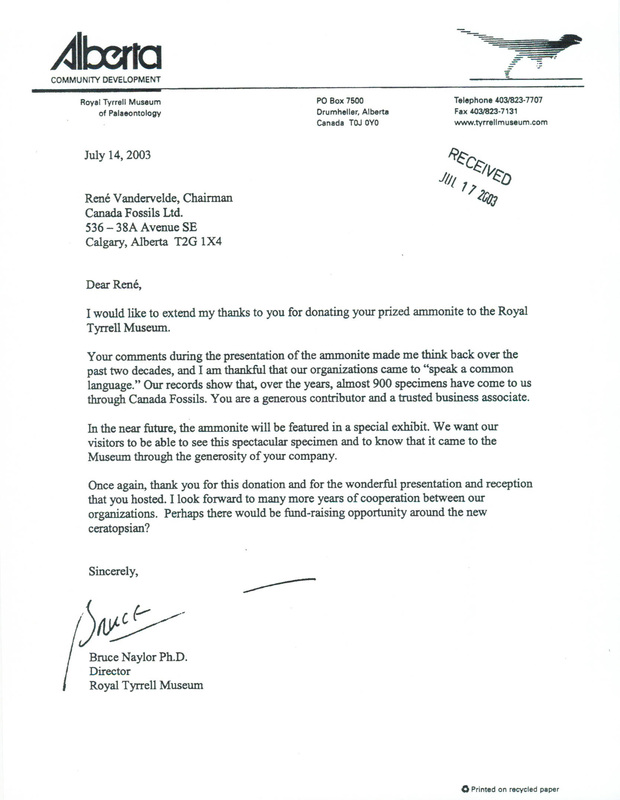 Companies such as Canada Fossils and sister company Korite International alone have donated over 900 specimens to just the Royal Tyrrell Museum. These lists do not include the sale or donation of replica skulls and skeleton's to museums for display, Specimens listed are original fossils. Please use the following links to visit specific classifications of specimens, Plants, Invertebrates, Fish, Sharks & Rays, Dinosaurs, Birds, and Mammals. For additional information on any of the specimens listed, please contact the collections manager of the institutions posted with the specimen. Conrad, Jack L., Olivier Rieppel, and Lance Grande. "A Green River (Eocene) polychrotid (Squamata: Reptilia) and a re-examination of iguanian systematics." Journal Information 81.6 (2007). Lamanna, Matthew C., et al. 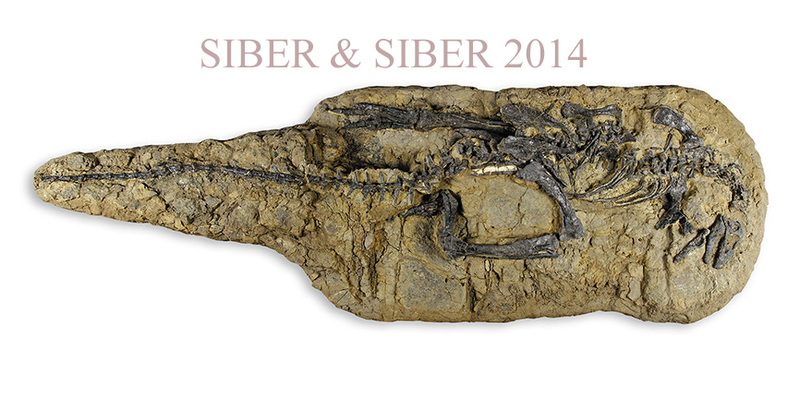 "A New Large-Bodied Oviraptorosaurian Theropod Dinosaur from the Latest Cretaceous of Western North America." PloS one 9.3 (2014): e92022. 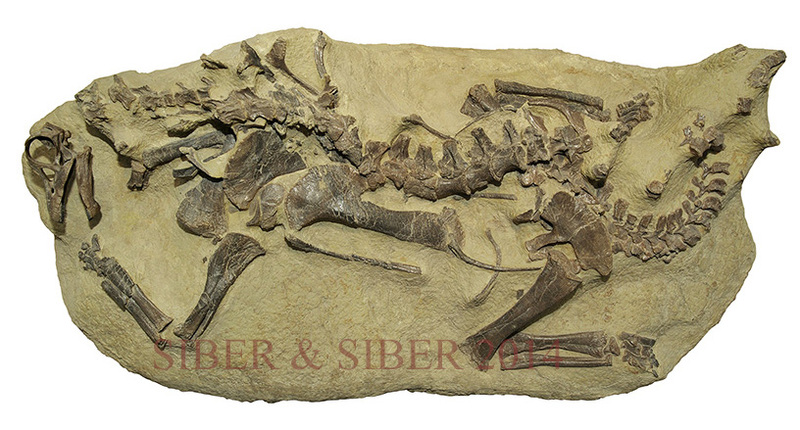 Conrad, Jack L. "An Eocene shinisaurid (Reptilia, Squamata) from Wyoming, USA." 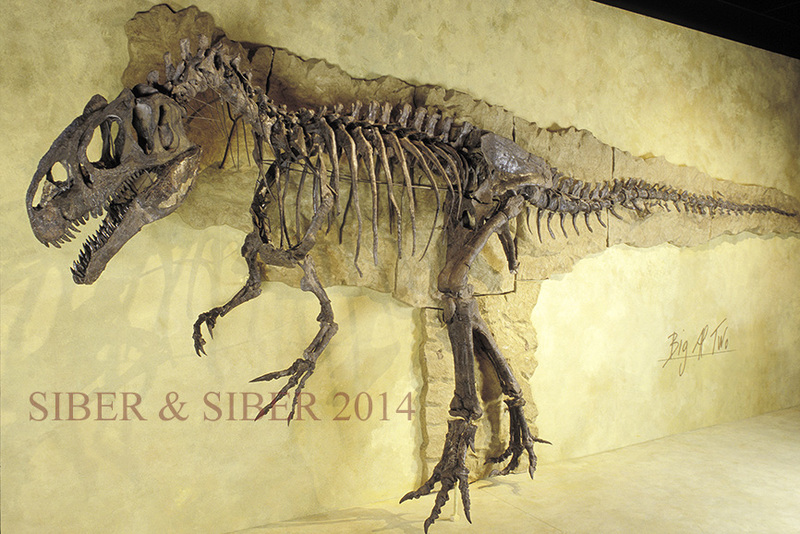 Journal of Vertebrate Paleontology 26.1 (2006): 113-126. Schwarz , D., Ikejiri , T., Breithaupt , B. H., Sander , P. M. and Klein , N. (2007): A nearly complete skeleton of an early juvenile diplodocid (Dinosauria: Sauropoda) from the Lower Morrison Formation (Late Jurassic) of north central Wyoming and its implications for early ontogeny and pneumaticity in sauropods. Historical Biology, 19: 225-253. Carballido, J. L., Marpmann, J. S., Schwarz-Wings, D. & Pabst, B. 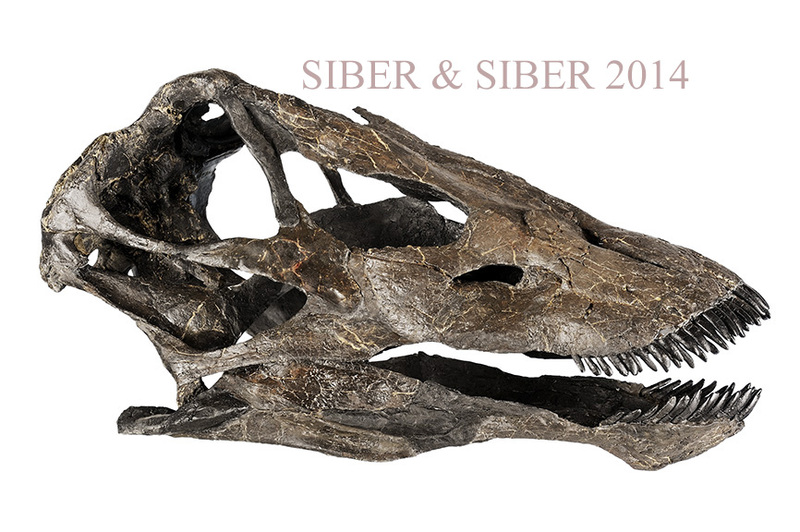 (2012): New Information on a juvenile Sauropod Specimen from the Morrison Formation and the Reassessment of its Systematic Position. Palaeontology 2012: 1-16. Sternberg, Charles H. (1909). 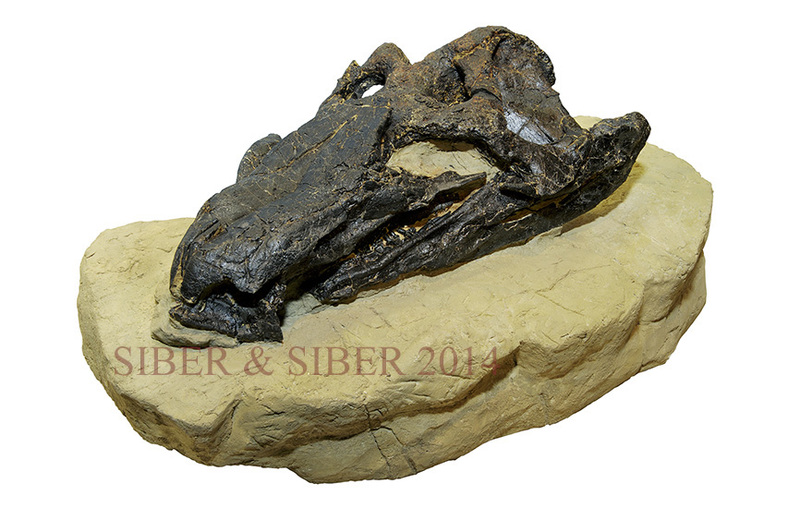 "A new Trachodon from the Laramie Beds of Converse County, Wyoming". Science 29 (749): 753-54. Kilbourne, Brandon, and Kenneth Carpenter. "Redescription of Gargoyleosaurus parkpinorum, a polacanthid ankylosaur from the Upper Jurassic of Albany County, Wyoming." Neues Jahrb Geol Palaontol Abh 237 (2005): 111-160. Carpenter, Kenneth, Clifford A. Miles, and Karen Cloward. 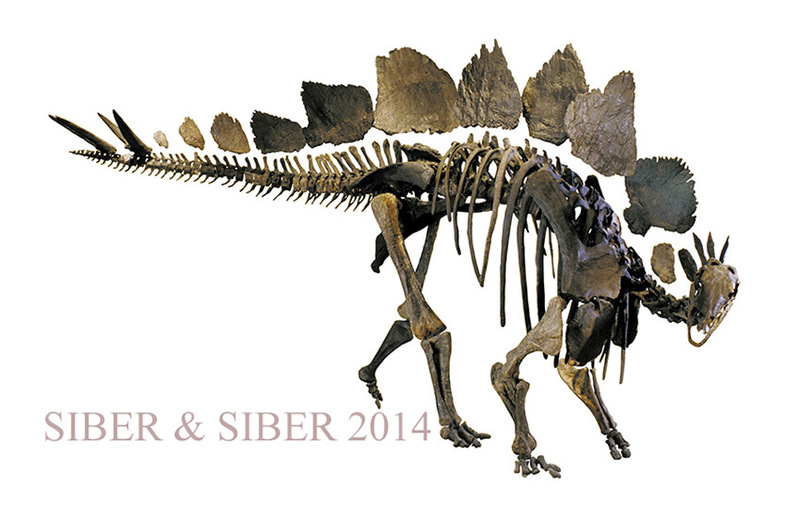 "New primitive stegosaur from the Morrison Formation, Wyoming." The armored dinosaurs Indiana University Press ISBN 0253339642 (2001): 55-75. 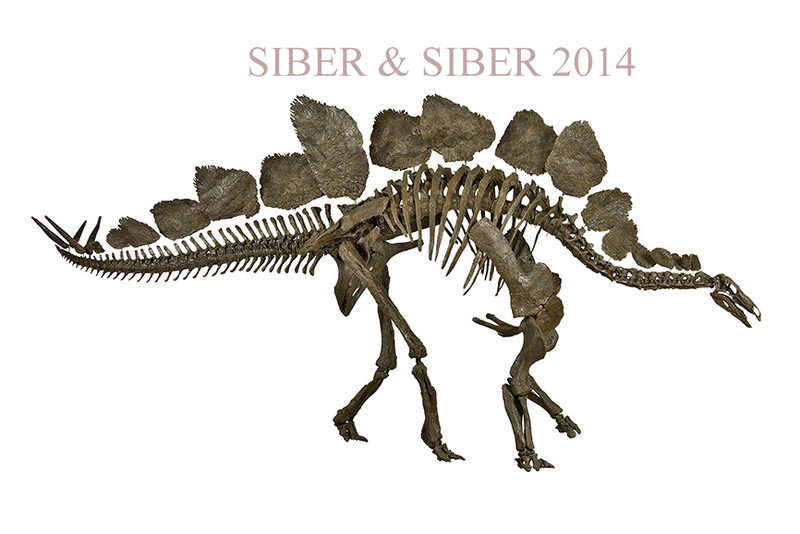 Farlow, J. O., Tamburini, F., and Tschopp, E., 2009, On the function of stegosaur ostoderms: In: Symposium on Stegosauria, Abstracts of the Scientific Meeting at the Sauriermuseum Aathal, 1pp. Ryan, Michael J., Anthony P. Russell, and S. C. O. T. T. Hartman. "A new chasmosaurine ceratopsid from the Judith River Formation, Montana." New perspectives on horned dinosaurs. Edited by MJ Ryan, BJ Chinnery-Allgeier, and DA Eberth. Indiana University Press, Bloomington (2010): 181-188. ISBN 0-253-35358-0. 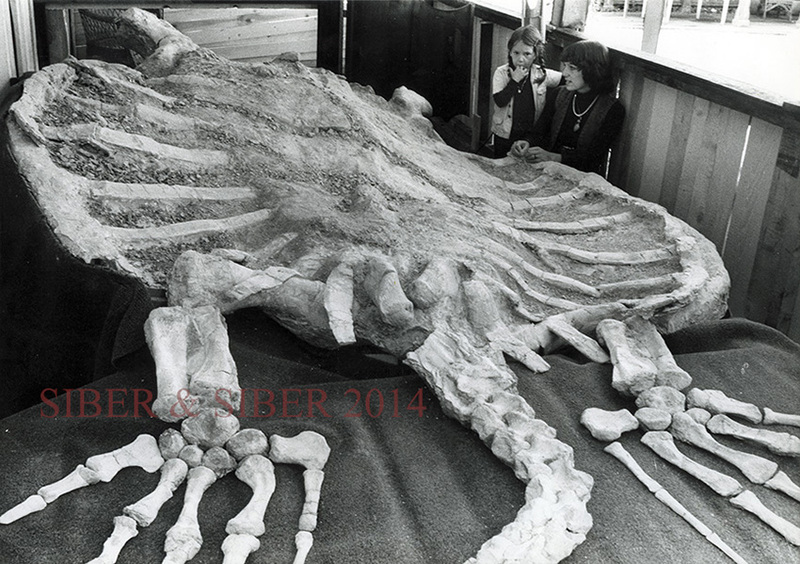 Peggy Vincent and Philippe Taquet, "A Plesiosaur Specimen from the Lias of Lyme Regis: The Second Ever Discovered Plesiosaur by Mary Anning". Geodiversitas (2010) 32(3):377-390. Chinnery, Brenda J., 2004a, "Description of Prenoceratops pieganensis gen. et sp. nov. (Dinosauria: Neoceratopsia) from the Two Medicine Formation of Montana": Journal of Vertebrate Paleontology, 24 (3), pp. 572-590. Buckland W., 1829, On the discovery of a new species of Pterodactyle in the Lias at Lyme Regis, Transactions of the Geological Society, London. Ser. 2 (vol. 3), 217-222, and plate 27. Stromer, E. (1915). "Ergebnisse der Forschungsreisen Prof. E. Stromers in den Wüsten Ägyptens. II. Wirbeltier-Reste der Baharije-Stufe (unterstes Cenoman). 3. Das Original des Theropoden Spinosaurus aegyptiacus nov. gen., nov. spec"
Christopher J. Ott and Peter L. Larson, 2010, "A New, Small Ceratopsian Dinosaur from the Latest Cretaceous Hell Creek Formation, Northwest South Dakota, United States: A Preliminary Description", In: Ryan, M.J., Chinnery-Allgeier, B.J., and Eberth, D.A. (eds.) New Perspectives on Horned Dinosaurs: The Royal Tyrrell Museum Ceratopsian Symposium, Bloomington, Indiana University Press, 656 pp. De Carvalho, Marcelo R., John G. Maisey, and Lance Grande. "Freshwater stingrays of the Green River Formation of Wyoming (Early Eocene), with the description of a new genus and species and an analysis of its phylogenetic relationships (Chondrichthyes: Myliobatiformes)." Bulletin of the American Museum of Natural History (2004): 1-136. Everhart, M. J. and Caggiano, T. 2004. An associated dentition and calcified vertebral centra of the Late Cretaceous elasmobranch, Ptychodus anonymus Williston 1900. Paludicola 4(4), p. 125-136. Nancy B. Simmons; Kevin L. Seymour; Jorg Habersetzer; Gregg F. Gunnell (2008). "Primitive Early Eocene bat from Wyoming and the evolution of flight and echolocation". Nature 451 (7180): 818–21. 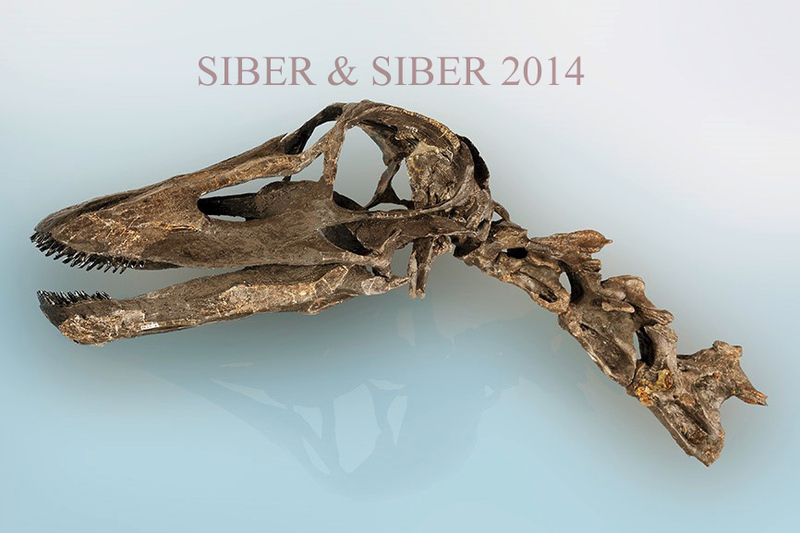 Olson, Storrs L. "A new family of primitive landbirds from the Lower Eocene Green River Formation of Wyoming." Natural History Museum of Los Angeles County, Science Series 36 (1992): 127-136. Olson, Storrs L., and Hiroshige Matsuoka. "New specimens of the early Eocene frigatebird Limnofregata (Pelecaniformes: Fregatidae), with the description of a new species." Zootaxa 1046 (2005): 1-15. Olson, Storrs L. "An early Eocene oilbird from the Green River Formation of Wyoming (Caprimulgiformes: Steatornithidae)." (1987). McMurran, Danette M., and Steven R. Manchester. "Lagokarpos lacustris, a new winged fruit from the Paleogene of western North America." International journal of plant sciences 171, no. 2 (2010): 227-234. Feldmann, Rodney M., Lance Grande, Cheryl P. Birkhimer, Joseph T. Hannibal, and David L. McCoy. "Decapod fauna of the Green River formation (Eocene) of Wyoming." Journal of Paleontology (1981): 788-799.
paratypes, USNM 489767, 489769- 489771,Adrain, J. M. and G. J. Gloc. 1997. Lower Devonian Aulacopleuroidean Trilobites From Oklahoma. Journal of Paleontology, 71(4):703-712.